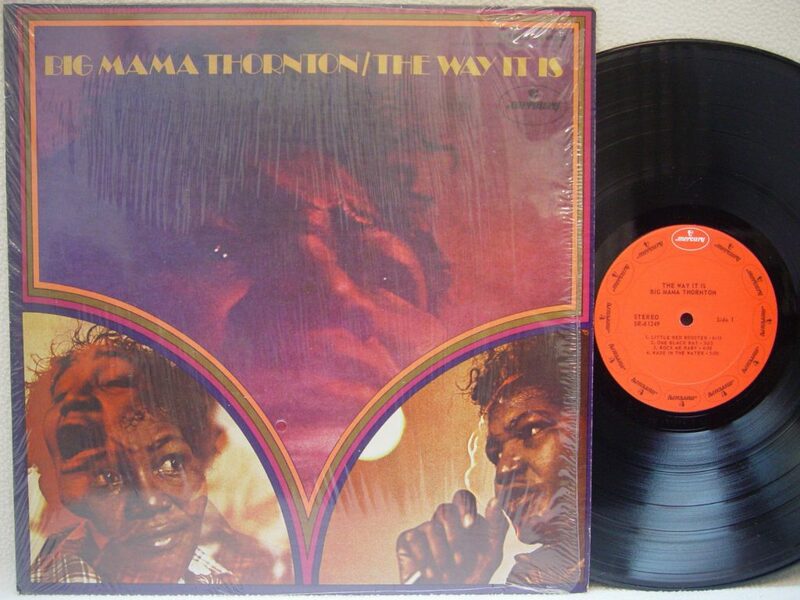 Check out these new and used Big Mama Thornton vinyl records LPs for sale. Willie Mae Thornton, a.k.a. big Mama Thornton, was an American blues singer and her claim to fame is being the first artist to record Hound Dog in 1952, which was obviously made a huge hit by Elvis several years later. She had a deep and powerful voice which is how Willie Mae earned the nickname Big Mama. She grew up listening to gospel music which played a huge influence in her songwriting. In a 1980 article she said: “when I was comin’ up, listening to Bessie Smith and all, they sung from their heart and soul and expressed themselves. That’s why when I do a song by Jimmy Reed or somebody, I have my own way of singing it. Because I don’t want to be Jimmy Reed, I want to be me. I like to put myself into whatever I’m doin’ so I can feel it.” Thornton was a formidable woman and didn’t take any nonsense from anyone. we recommend starting with her essential albums Stronger Than Dirt from 1969 and The Way It Is from 1970. Our inventory changes often, so check back or browse our list of vinyl from blues musicians.